Welded frame construction for extra strength and rigidity. Hardwearing and scratch resistant galvanised internal fittings. Supplied with 3 small adjustable shelves and hanging rail compartment. Reinforced doors with 3 point locking supplied with 2 keys. 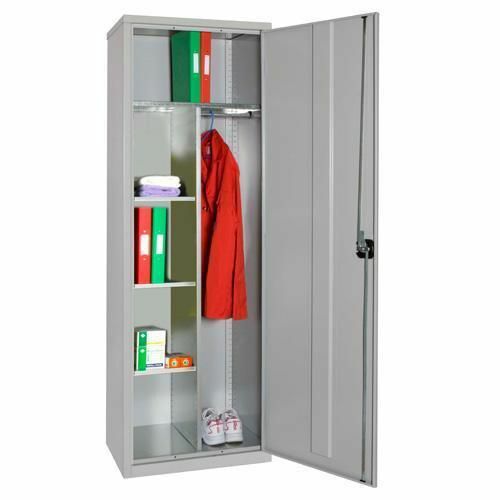 Anti-bacterial coated cupboard with hanging compartment.